ABOUT 2,000 members of a mainly white South African trade union protested on Thursday against a plan by chemicals company Sasol to allocate shares only to black employees. 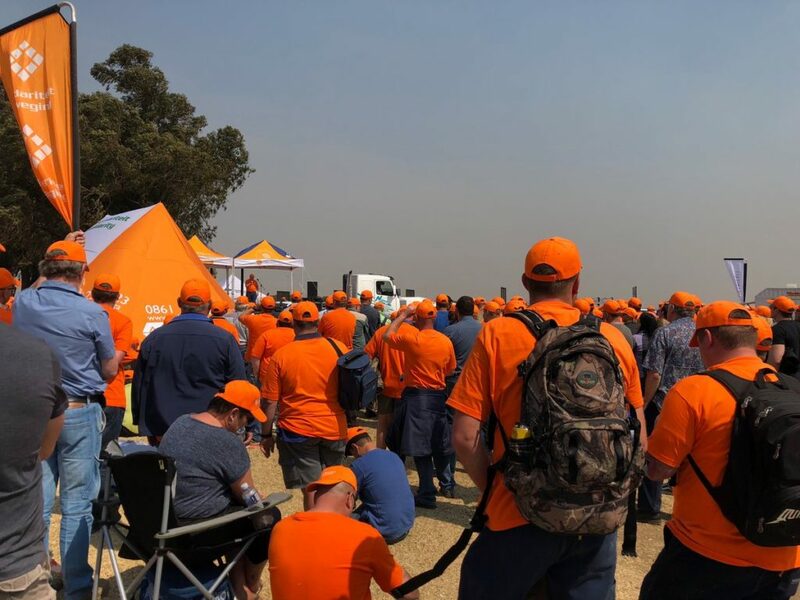 The Solidarity union, mainly made up of white Afrikaners, said its 6,300 members working at Sasol’s Secunda plant southeast of Johannesburg felt “alienated” and “powerless”. The union has demanded that the blacks-only share scheme be extended to include white workers or that an alternative scheme is developed. Banners at the march read “Stop racism at Sasol” and “Skin colour doesn’t determine my worth”. Sasol has said that the new share scheme would empower members of previously disadvantaged communities in South Africa, where racial inequality remains high decades after the end of apartheid rule in 1994. Flanked by armed private security, senior executives from Sasol accepted a list of demands from Solidarity. The ruling African National Congress – ANC, has said any protests against the share scheme would have “racist overtones”. Since 2003, South African law has set quotas for non-white employees, ownership and management to redress the inequalities of apartheid.